Fifth freedom flights are a great opportunity to fly on interesting, different aircraft without having to pay for a longer flight. 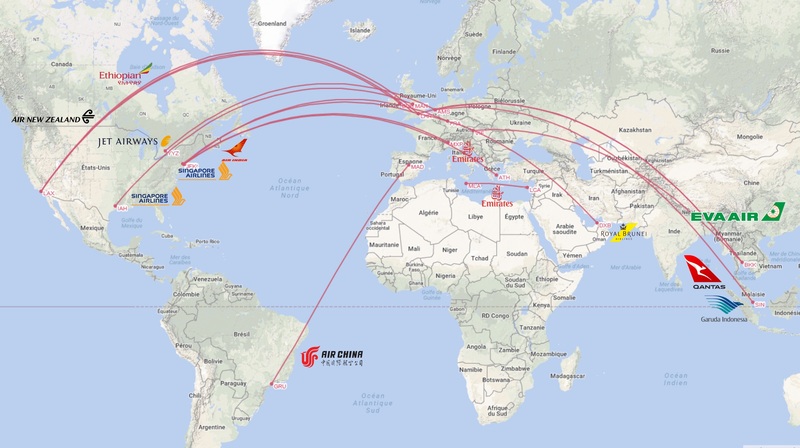 It can also be a chance to try a new airline on a short route. Oftentimes, fifth freedom flights don’t vary much in price for a given sector, so they can also be a cheaper alternative to local airlines. In this article, we will go through a brief presentation, the benefits, and all the 5th freedom routes inside of Europe, but also coming in or out from other contients. Enjoy! NEWS! Sichuan Airlines added Prague – Zurich on Wed and Sat using A330s, starting 23 june 2018. The fifth freedom of the air represents an agreement between airlines and national authorities to carry revenue passengers between two foreign countries, while connecting the airline’s own country. 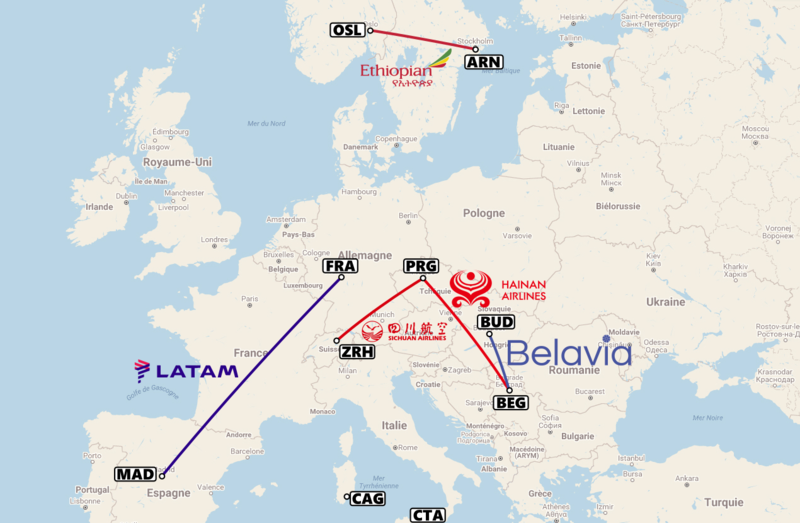 For instance, Hainan Airlines, a chinese airline, fly twice a week from Bejing to Belgrade, with a stop in Prague, as illustrated below. In short, it is the right to carry passengers from one’s own country to a second country, and then from that country to a third country (and so on). 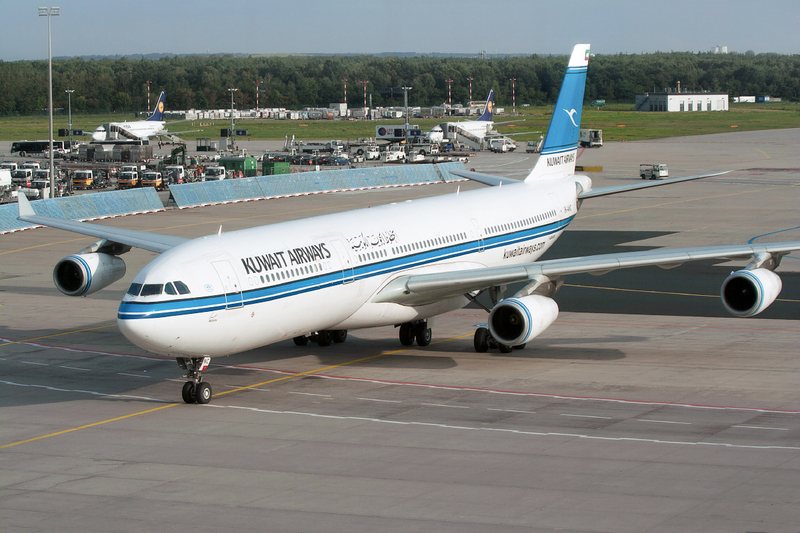 5th freedom rights are different from 2nd freedom rights, such as the recent long-term Iran Air fuel stops in Prague on flights from London, Amsterdam and Paris on the way back to IKA. In this case, it is only a technical or fuel stop and passengers and cargo stay in the aircraft. The flights are therefore not bookable. The first benefit of 5th freedom flights is the ability to try exotic airlines that would be hard or expensive to fly on otherwise. To fly on Singapore Airlines for example, one would normally have to transfer in Singapore, which in itself is far already. From europe, one can instead fly them directly to North America. All of these routes are obviously gone today. Some of them like Ariana Afghan Airlines on the A300 seem so far away today.. There are many benefits to flying on large airplanes on short distances. 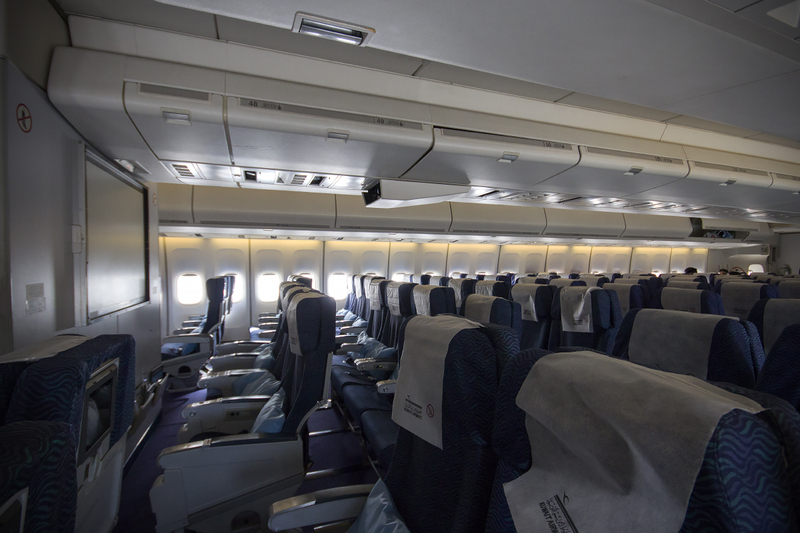 Aircraft used for long haul usually have inflight entertainment systems, which are mostly absent in narrowbody planes. Even better, recent widebodies usually have electric plugs, as well as wifi. Flying on widebody aircraft is often also more confotable and enjoyable. Especially if you’re an avgeek like me. 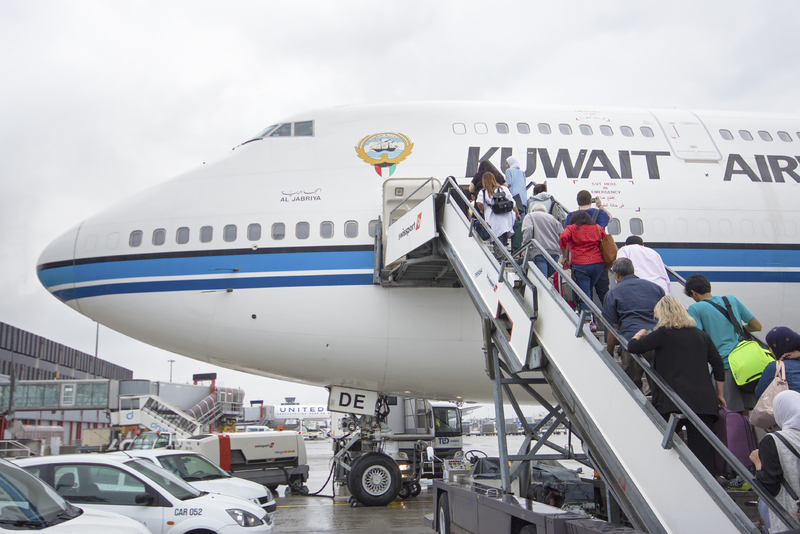 I had the chance to catch two gems on 5th freedom flights, a Kuwait A340-300, and even better, the Emir of Kuwait’s 747-400 on a flight from Geneva to Frankfurt, and it was worth it! Many of these flights often have a lower load factor, which means more elbow room and a calm, almost eerie cabin. On a side note, there are a few flights inside Europe on regular european carriers that use widebody planes as well. British Airways and Iberia for instance use their B767-300 and A340-600 respectively on the LHR-MAD route. Sometimes airlines temporarily need more capacity, like the recent Lufthansa 747 flights between Frankfurt and Berlin, or on training and celebratory flights when airlines introduce or retire a certain type of aircraft. These opportunities come and go, so they are hard to predict. With most european 5th freedom flights being under 2 hours long, fares in economy and higher service classes can be quite affordable. 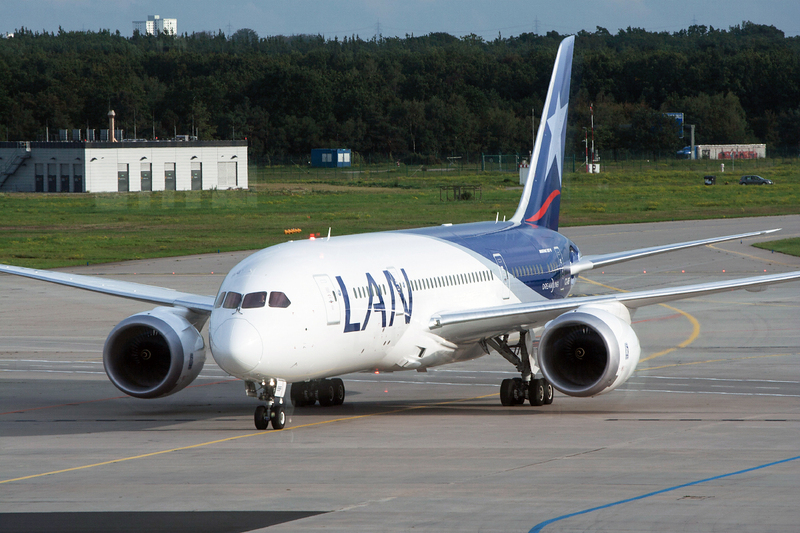 As an example, the LATAM flight from Madrid to Frankfurt on a 787-8 is listed for 43 euros one way in economy – a pretty good deal! In business, it’s 169 euros, a good way to try it out without. Another example used to be Singapore Airlines flights from Milan to Barcelona. It was a treat to see a 77W twice in the same day in Milan, like we did with my friend Keishi (from KNAviation) back in 2008. Let’s look into the flights. I put them in two categories, first inside Europe, and then in and out of Europe. I was surprised to see there are currently only 5 flights within Europe (6 if I count the uncertain Korean VIE-ZRH flight). Here are the details. It seems like all of the flights should hold, except Korean, which doesn’t seem to be bookable now, and only comes up in searches from the 6th to 24th march. What’s more, Korean Air’s search engine shows a message sayiing to call for booking. After march, it is unclear what will happen with this flight. As for the newest addition, Hainan on PRG-BEG-PRG, I’m not sure whether the market between Serbia and Czech Republic will sustain the route for long, let’s see how it holds up. From what I could tell, all these routes seem pretty solid for now, as they had many months worth of availability throughout 2018. Below is the detailed data. Well, there you have it. If you know about any flights I failed to mention, please let me know and I’ll update the list! Next time, I’ll look into regular widebody flights within europe and to neighbouring countries in North Africa and the Middle East, and will make maps and lists similar to these ones. PS: Shoutout to the creators of the Great Circle Mapper for the great free tool! I think SWISS Flight LX242 from Dubai to Musct is also a fifth freedom flihgt, correct me if im wrong. Its done in an A330-300. Thanks for the inputs, I never heard of the swiss one before. I’m planning on making another articles for 5th freedom flights in the middle east and Asia, so I’ll make sure to put it there. ALITALIA daily flight between Athens – Tel Aviv, all other flights with this airline are to/from destinations in Italy. Thanks for the input Luke! Adding it right now..
Air India will axe it’s fifth freedom flights from Newark to London Heathrow from 15th November this year. Thanks for the info Joe, will check and add!